I’m 5’10” and WAS at 215 lbs. NOW I’m down to 155 lbs and working on getting rid of the last bit of belly fat. This blog is about losing weight, eating healthy and getting fit and all the struggles I continue to have along the way. My goal is to teach others what I’ve learned so far and hopefully inspire others to become healthier & happier along the way. Becoming health-wise can only make your life better! 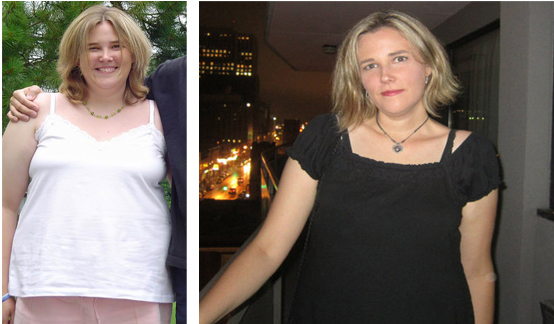 In 2011 I was down to 155lbs, then I was expecting my first baby and gained baby weight. Following my babies birth in January 2012 I went back down to about 160lbs. My weight fluctuated while being off with the baby for 9 months and I’m up another 5 lbs from that. I am at the point in my life now where I want to get back to the weight I was before the baby and get back into pre-baby shape. I’m ready to take on this challenge. Are you with me?